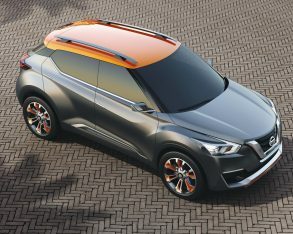 press release infers, but rather should be attributed to Brazil’s largest more business-oriented city of São Paulo, or at least this would have been true in 2008 when the 23 million-plus metropolis was made more vibrant (or messier depending on your point of view) by intervention artist Eduardo Srur who hung life vests on famous statues in his controversial project dubbed “Survival”. 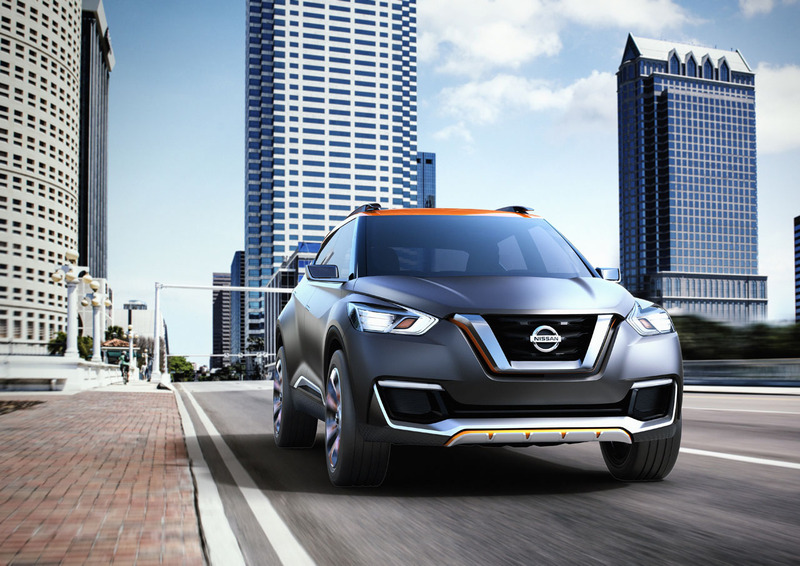 The rest of the city can be extremely drab, however, at least when compared to vibrant Rio de Janeiro, so we best leave it to the homens e mulheres (or otherwise brasileiros e brasileiras) at the new Nissan Design America Rio studio to decide how they want to depict cities within their own country, or at least how they want to describe how their new compact crossover reflects “the design inspiration from Brazil,” or so Nissan says. 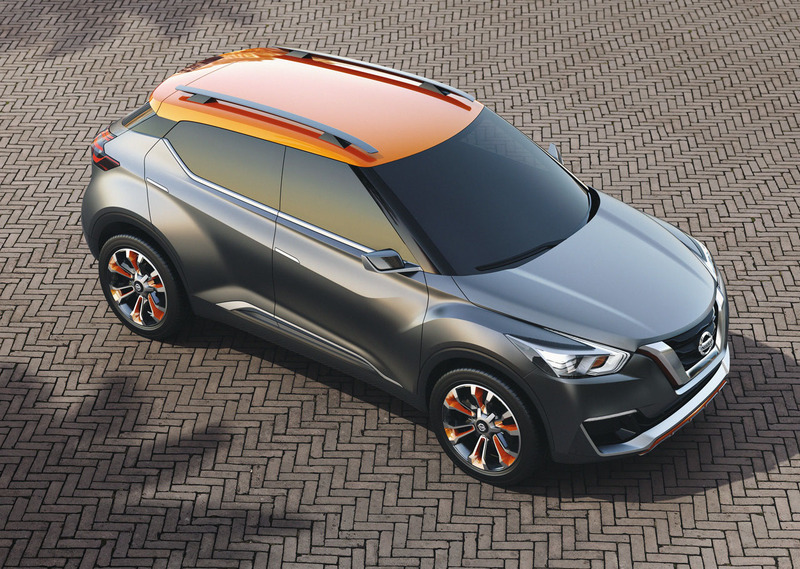 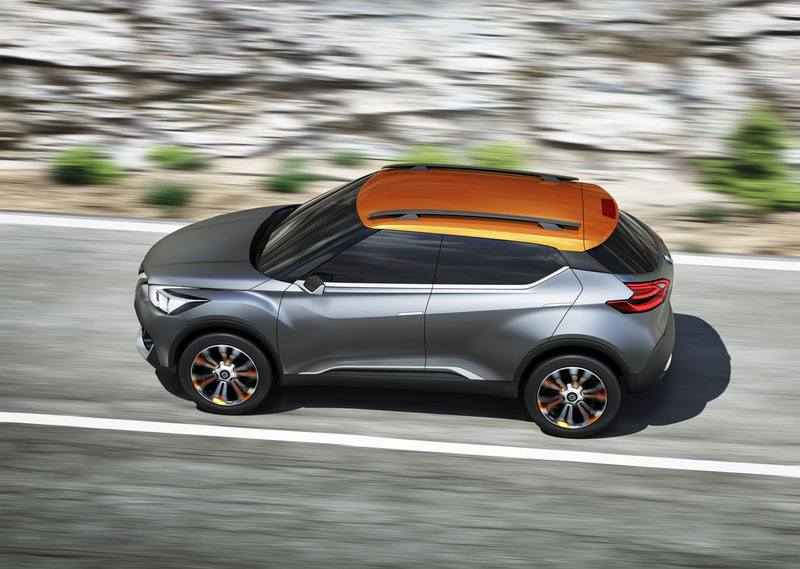 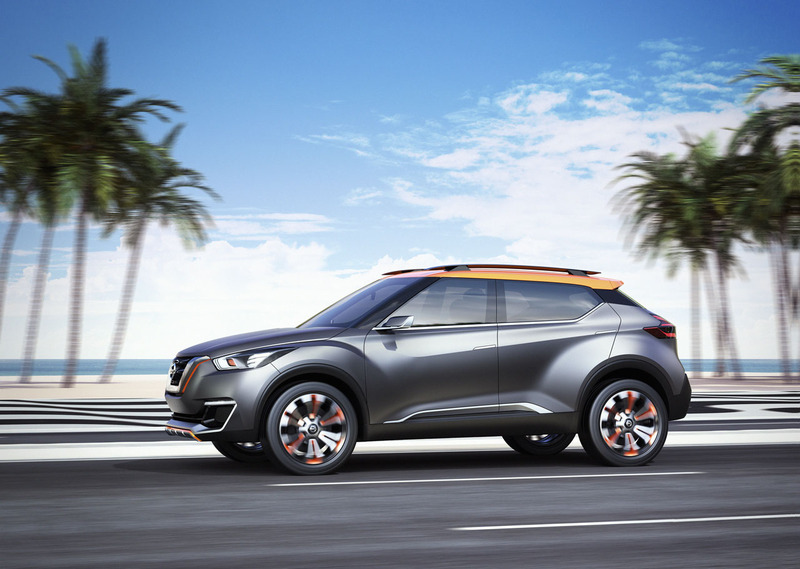 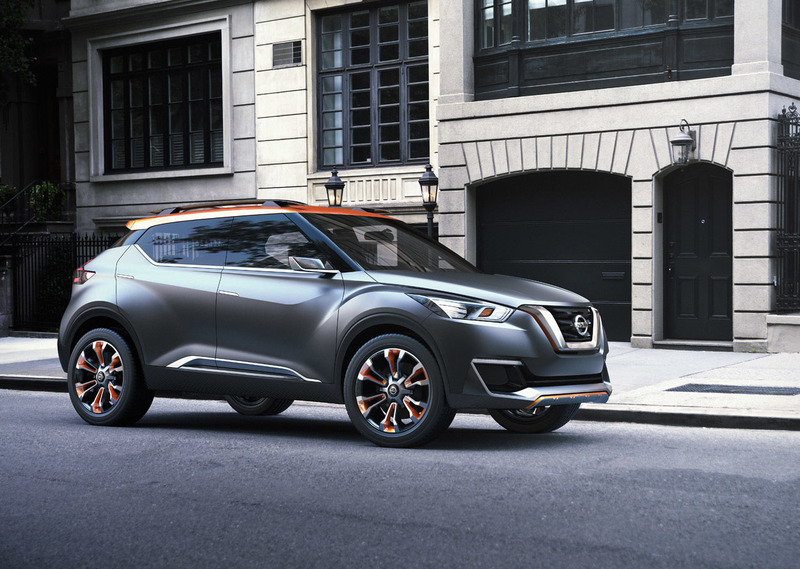 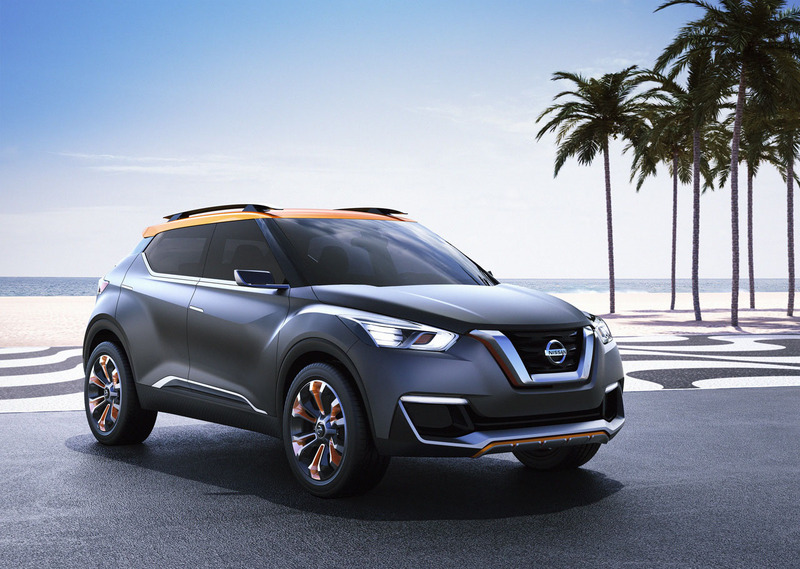 concept is a product of global collaboration, but it was inspired by the streets of Brazil and designed for its people,” said Mamoru Aoki, Executive Design Director of Nissan’s Global Design Strategy Department. 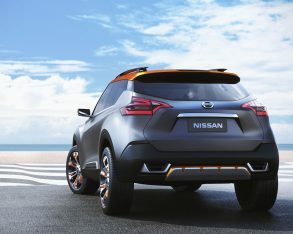 Some might wonder what a Japanese company might know about South America’s largest country and biggest economy, but those who’ve spent time there will tell you of its massive Japanese population, São Paulo having more Japanese expatriates than any other city in the world, the Liberdade district especially rich in Japanese culture. 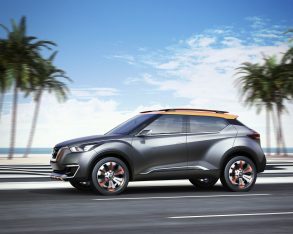 Center next to the Rio Tietê. 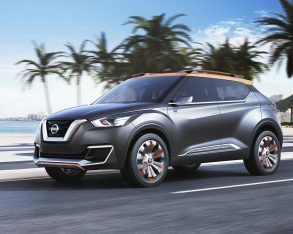 The largest and most important auto show in Brazil and for that matter in South America, it’s not one that major automakers want to miss, and one they had better bring something memorable to. 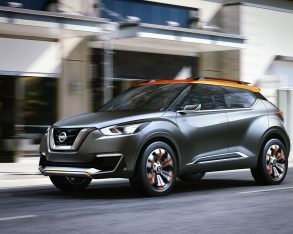 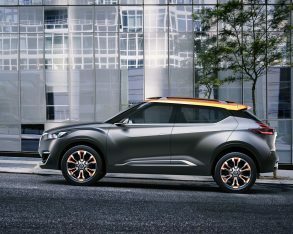 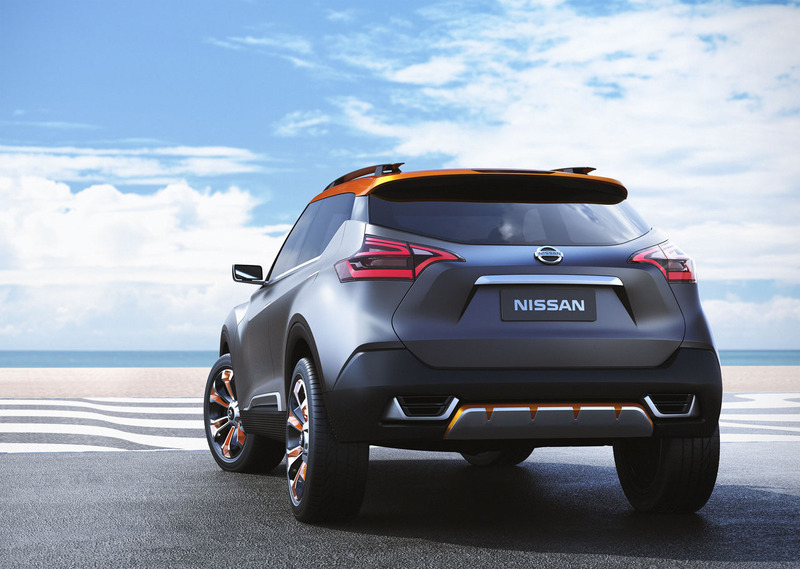 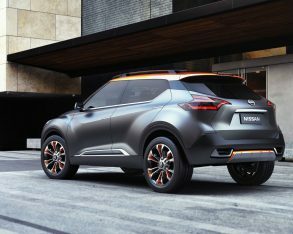 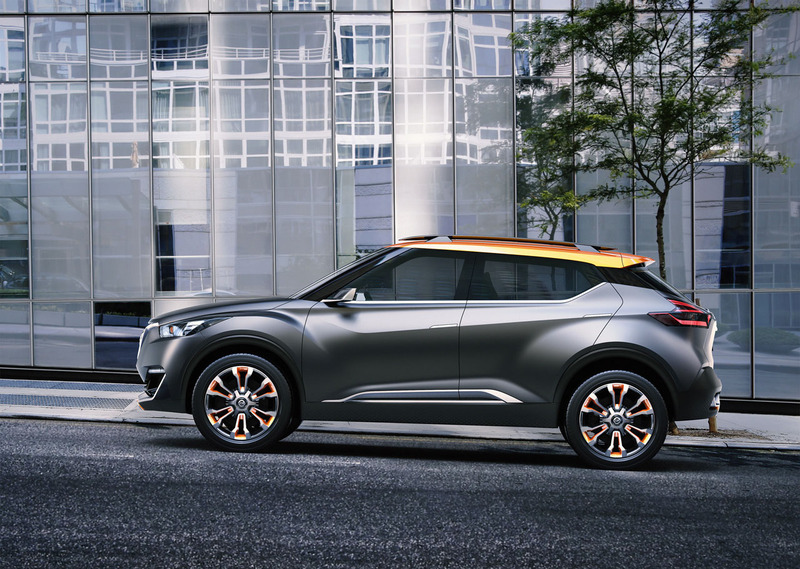 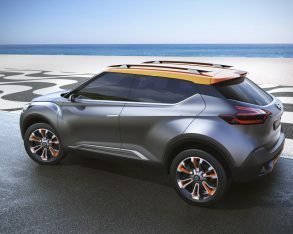 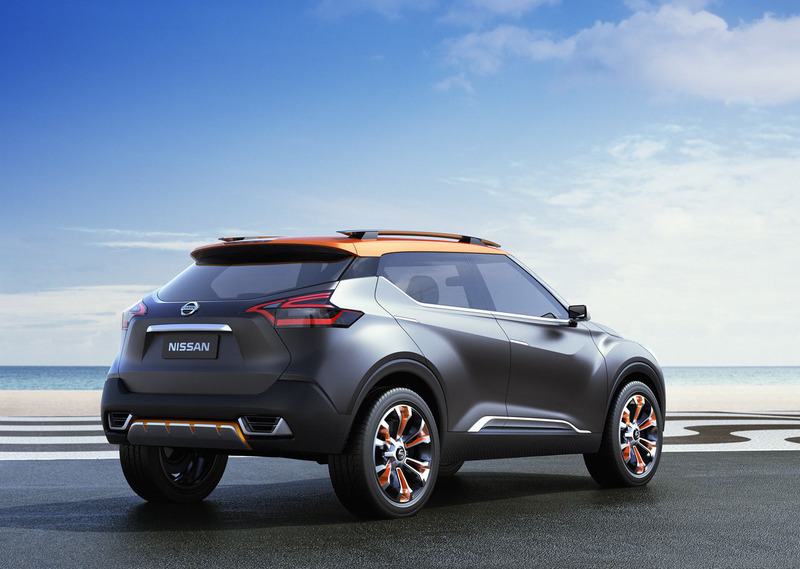 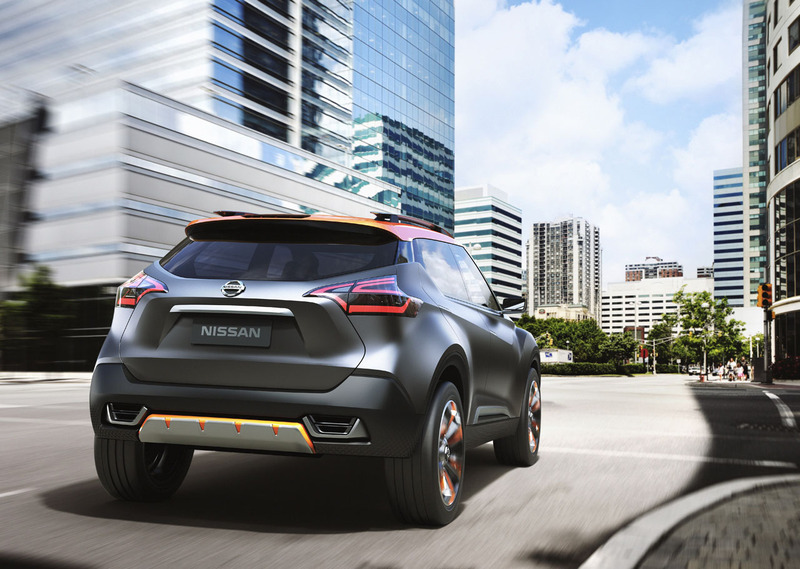 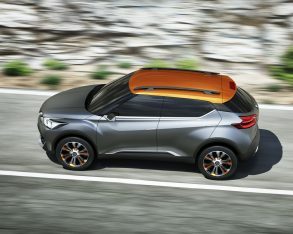 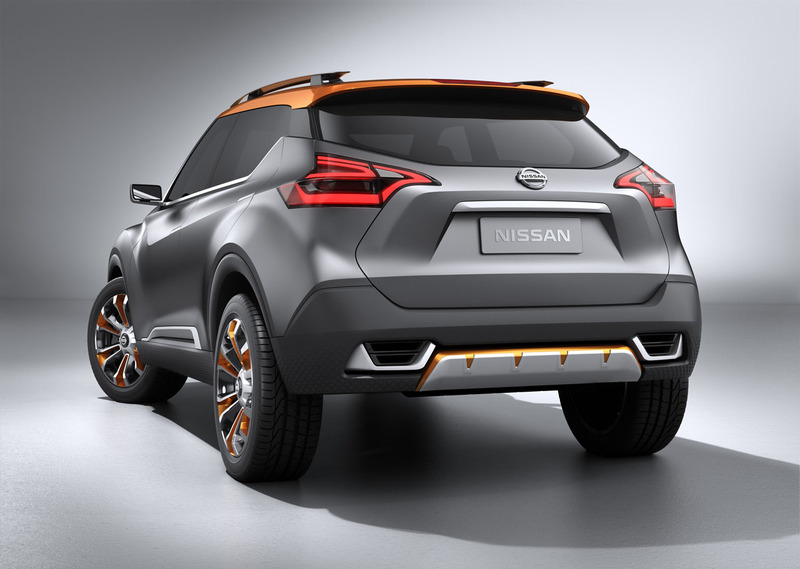 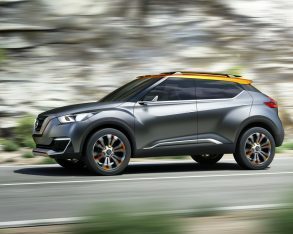 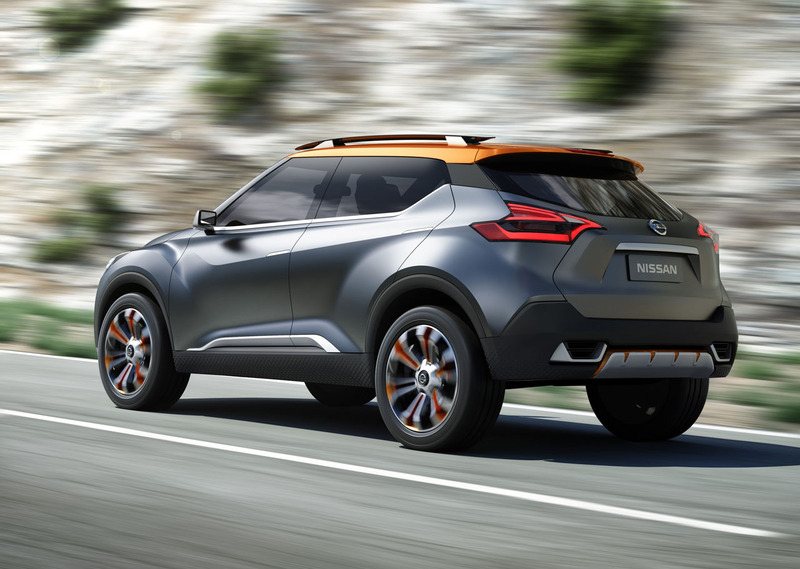 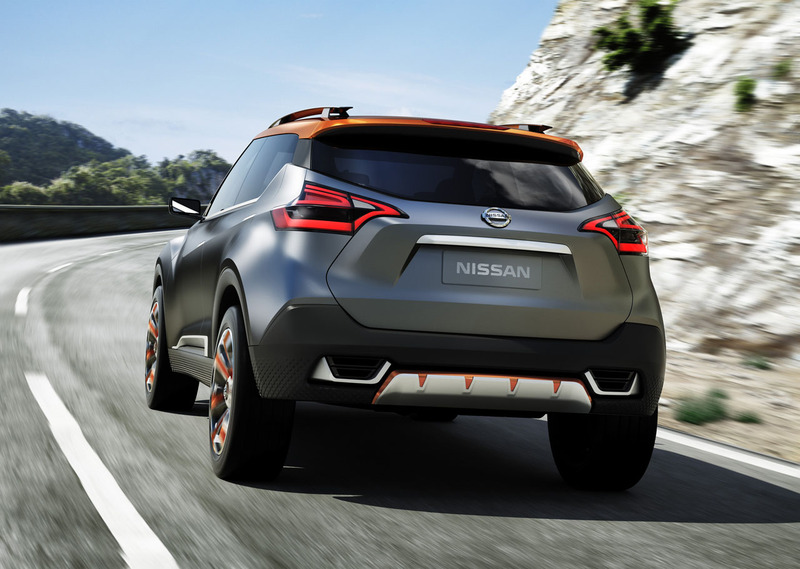 While the colours are questionable, Nissan hit the mark right on the head by bringing a compact crossover SUV to the show. 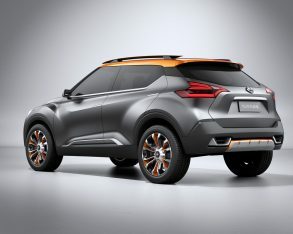 Due to the majority of this massive country being connected via decaying roadways, vehicles with reasonably high ground clearance are needed outside of the major cities, and the Kicks Concept delivers extended ride height along with its edgy SUV styling. 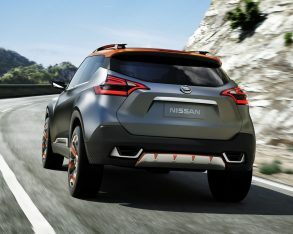 having done quite well both on the sales charts and for the brand’s image. 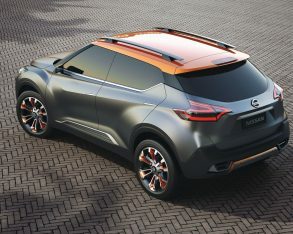 Truly, if you’d never seen a Juke before the new Kicks would look quite tame on the same stage, giving good reason to think the new concept is more than just a cool looking design created to excite Brazilian automotive enthusiasts attending the São Paulo show, but rather a production prototype created for all Latin American markets as well as the rest of the world. 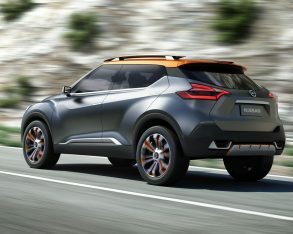 It makes sense because, as Aoki mentioned above, the creation of the Kicks Concept required full global cooperation from Nissan’s design departments. 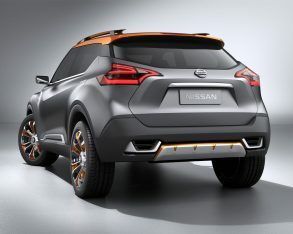 Starting with the leadership of the brand’s Global Design Center in Japan, it was “developed by Nissan Design America in San Diego with input from Nissan Design America Rio, the recently opened satellite design studio,” says the Yokohama-based company. 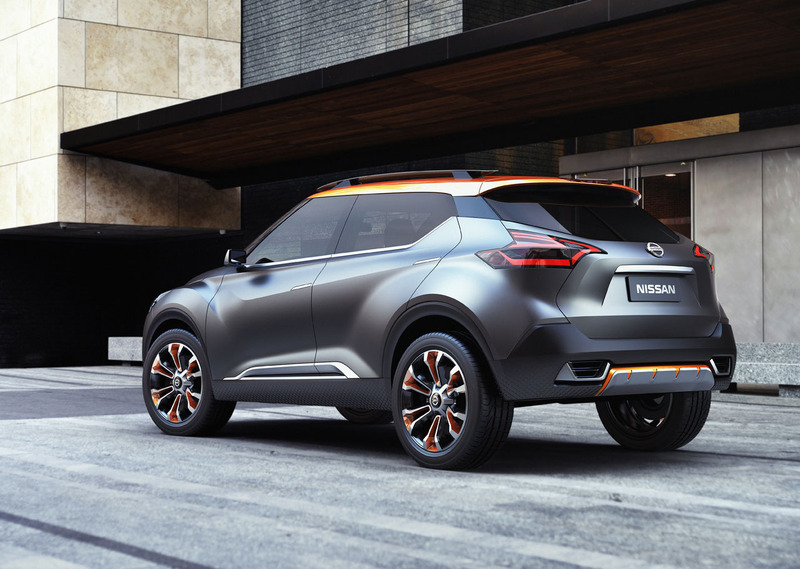 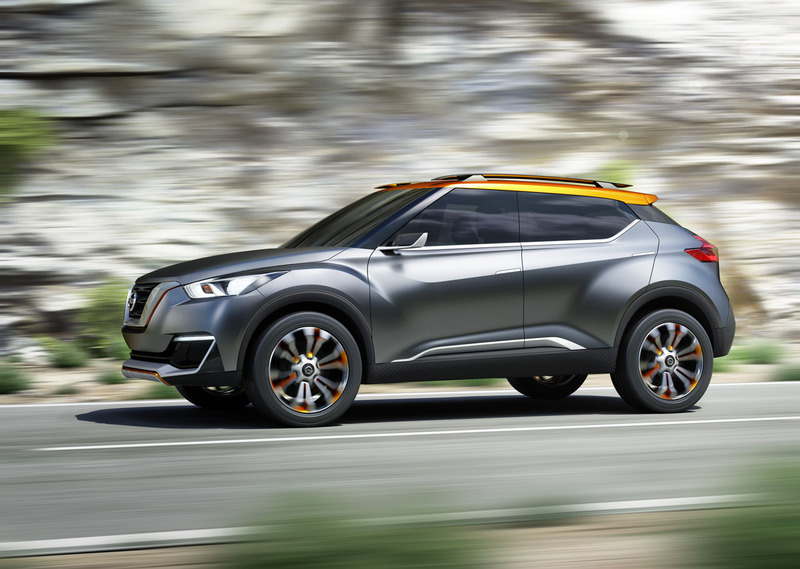 Kicks pulls cues from the new Rogue and Pathfinder models, with headlights that seem inspired by the 370Z, Maxima and others within Nissan’s broad lineup. 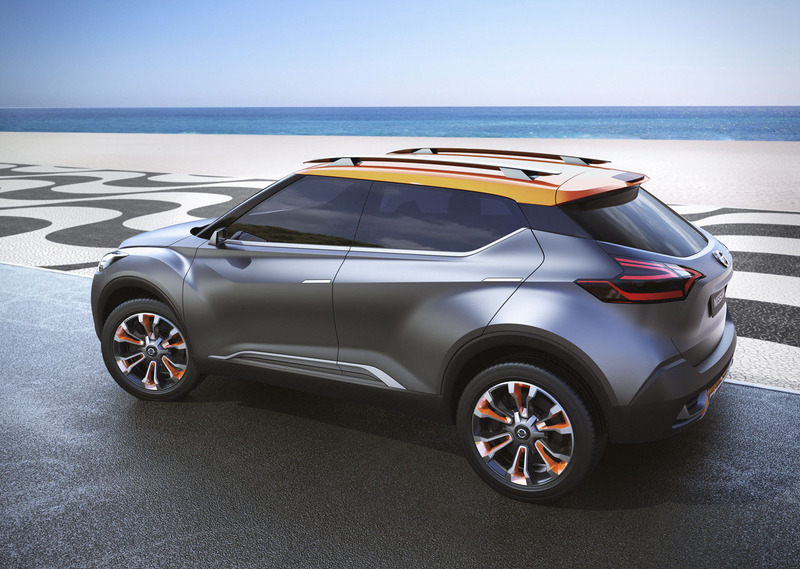 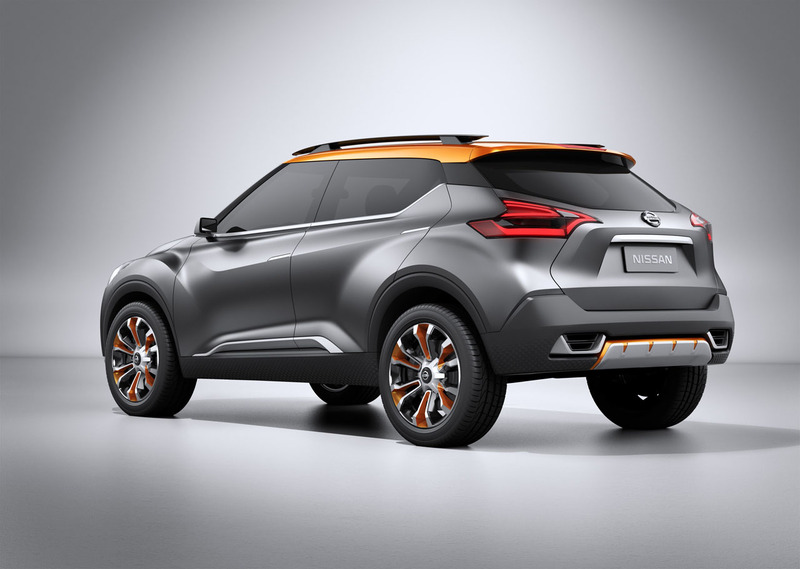 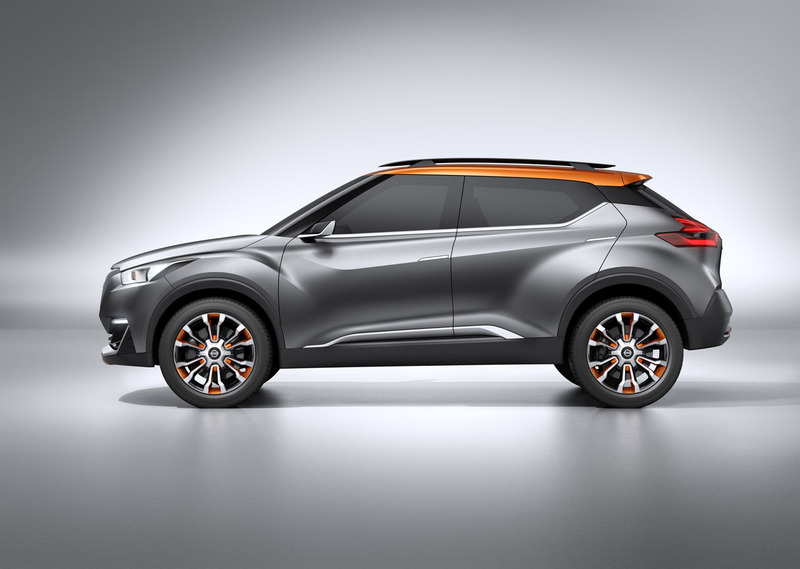 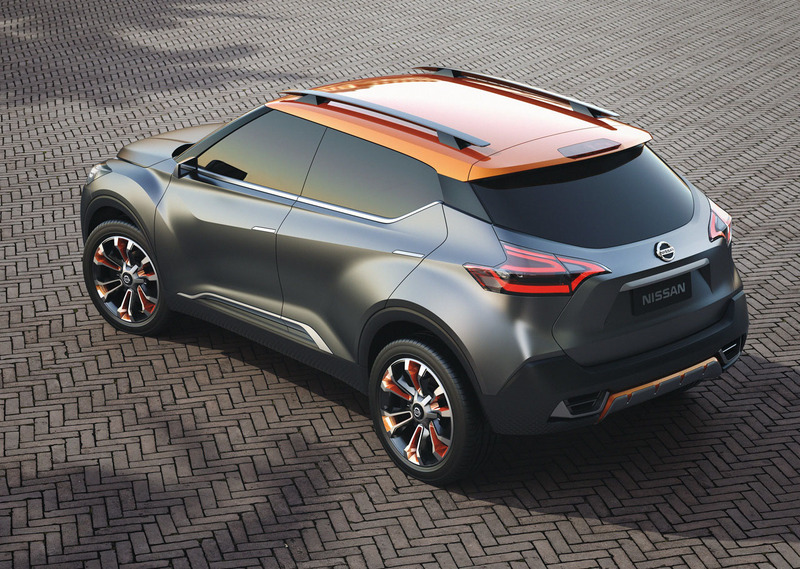 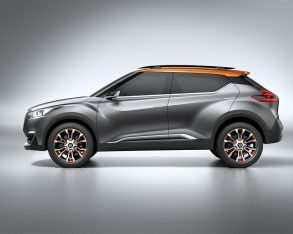 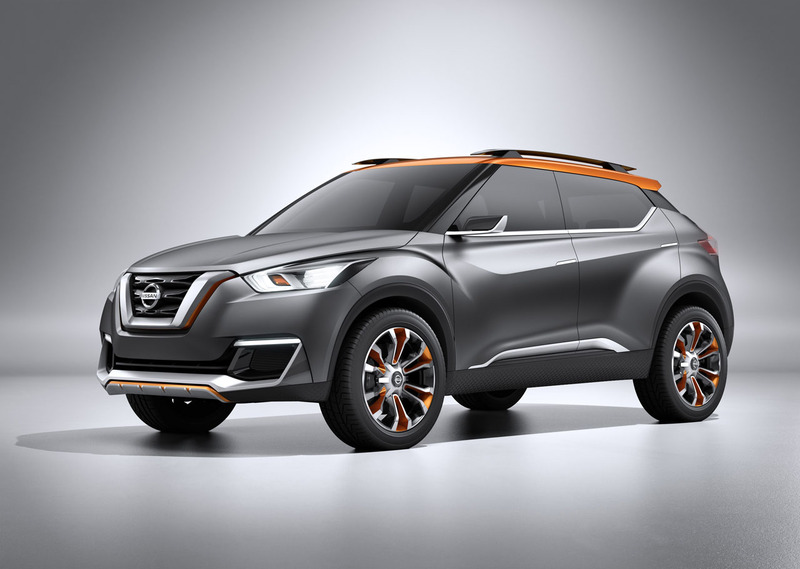 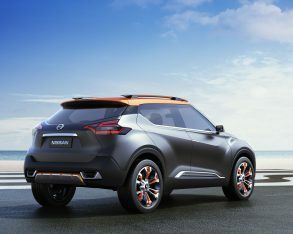 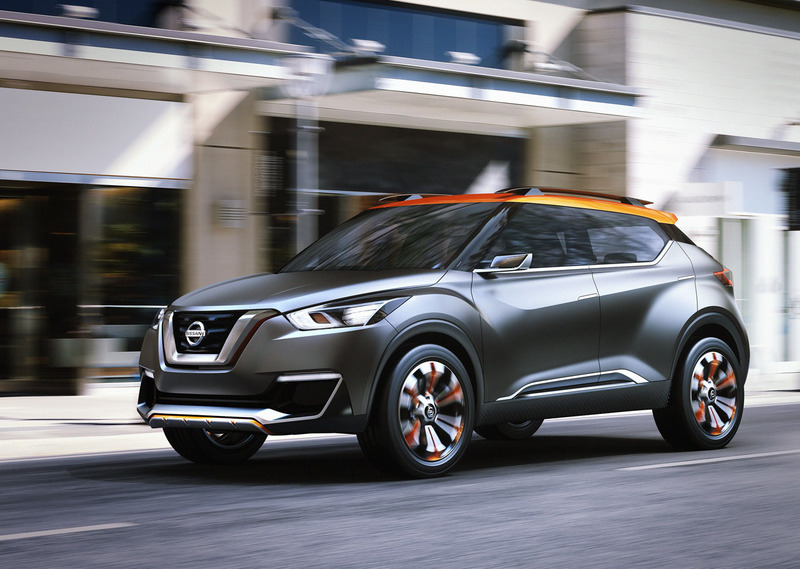 At first glance the Kicks appears to fit right between the Juke and Rogue, making it a true compact model. 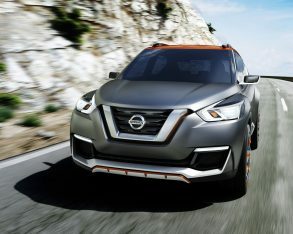 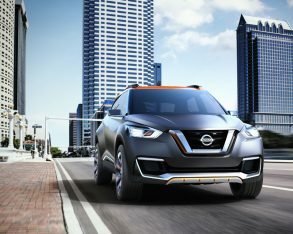 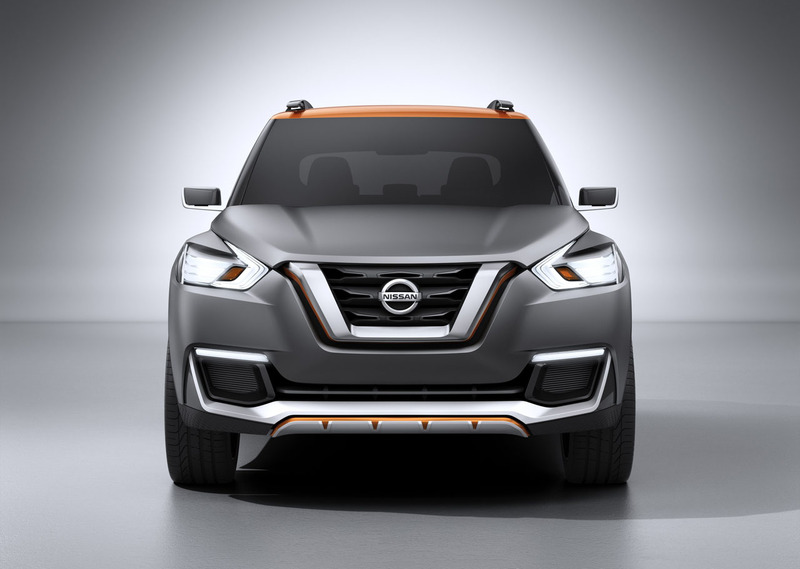 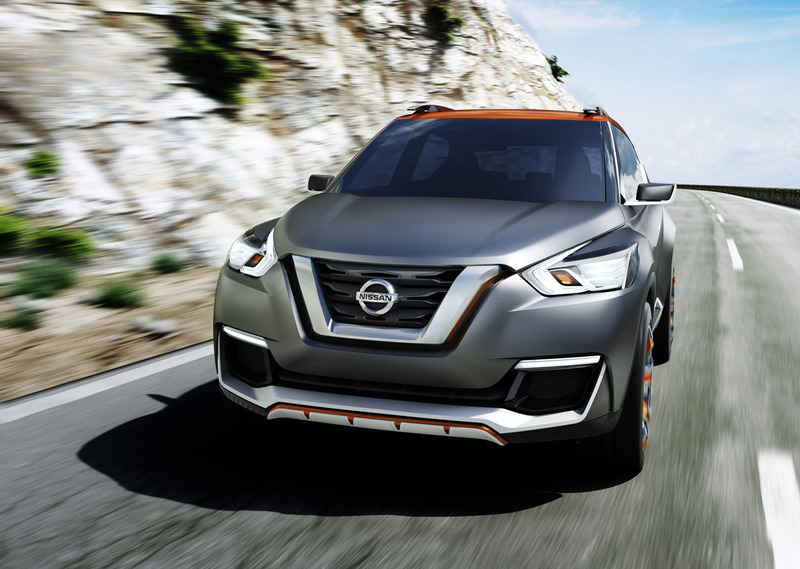 Now that Nissan has increased the size of its Rogue to incorporate a third row of seats, a smaller compact model would attract buyers who’s families don’t yet require such a large, almost mid-size vehicle. 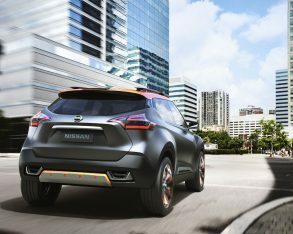 Nissan might have considered covering the crossover in inartistically destructive graffiti to heighten its connection with Paulistanos, but no doubt they wanted to offer a more positive reflection of the Brazilian city’s society than what is so plainly evident when there. 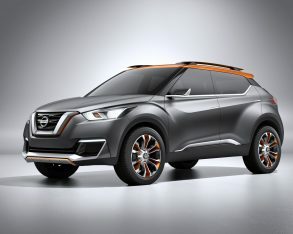 But as outlined before, the Kicks offers up more worldwide appeal than just its current Brazilian target. 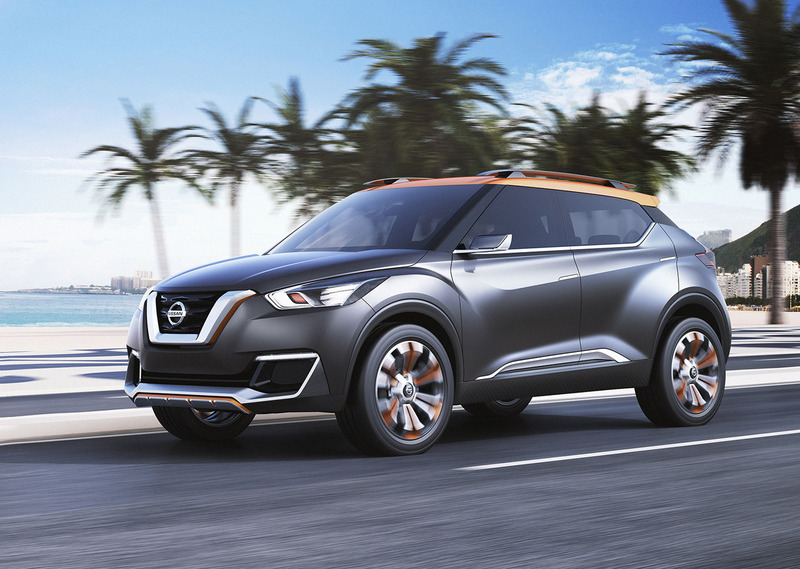 “It’s not only just for the Brazilian market, but we capture the idea of Brazil and then we apply it to our global design improvement, making a stronger design lineup for future Nissan designs,” said Taro Ueda, Vice President of Nissan Design America. 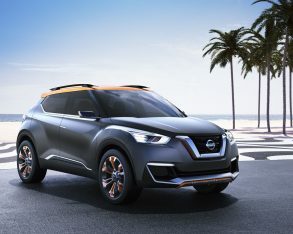 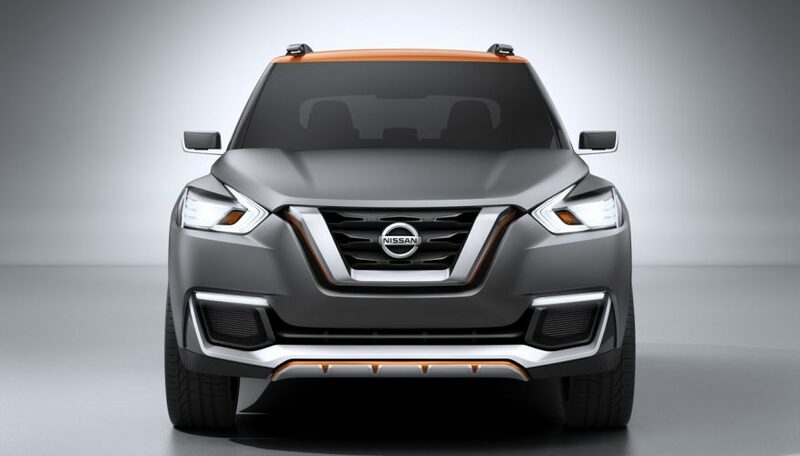 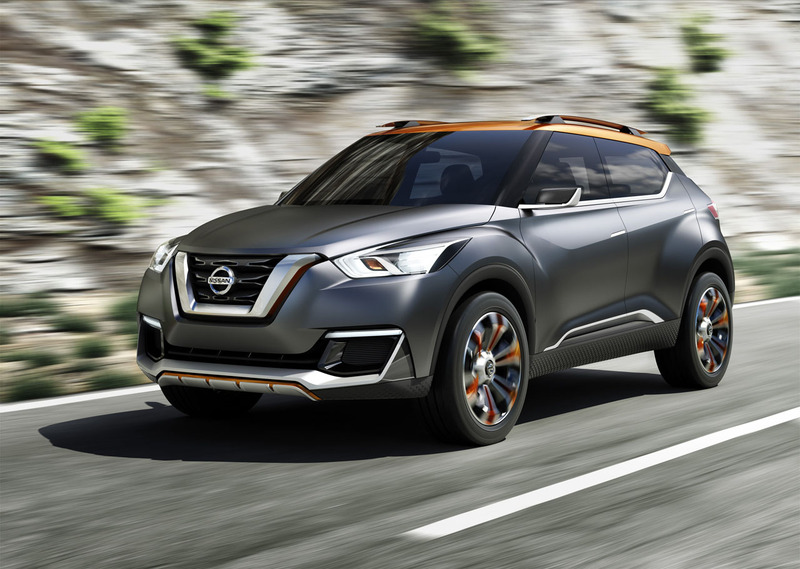 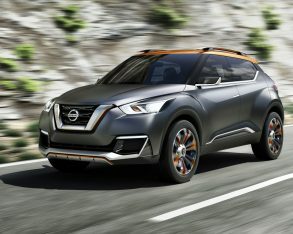 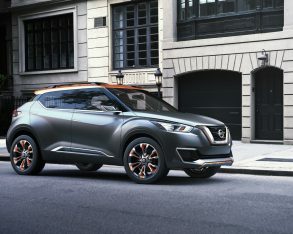 The São Paulo International Motor Show “kicks” off on November 9, at which point Nissan will be able to judge reaction from the large contingent of Brazilian and global media present, as well as the crossover SUV’s potential customers.